I feel like quinoa is new enough (to most of us) that it is still a bit misunderstood. At this point, the majority of us know how to cook pasta and rock a rice cooker, but what about the rest of the grains, especially the whole ones? And do the rules change when we soak them first? I don’t have all of the answers for you today, but I do have one: how to cook soaked quinoa perfectly. I don’t throw this word around recklessly. As much as I find plenty of charm in nature’s imperfections and messy but delicious food, poorly cooked quinoa is not one of them. 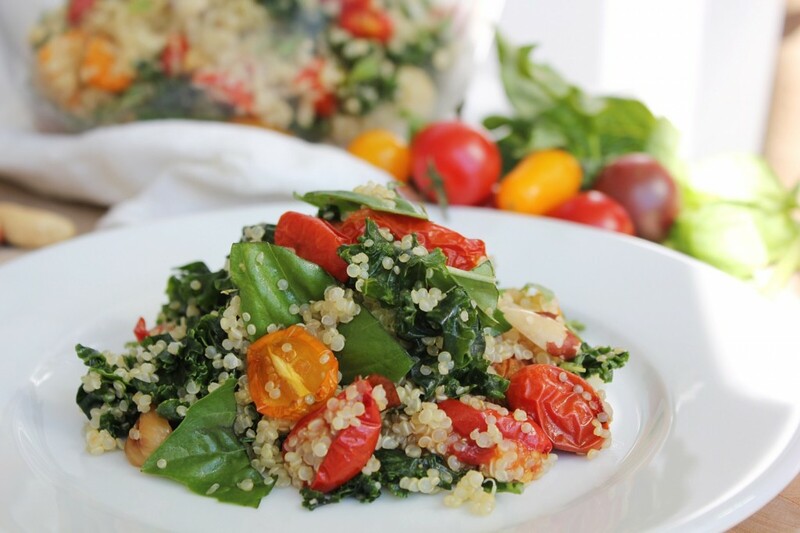 When prepared properly, quinoa is neutral tasting compared to many whole grains, and has a less fiber-obvious texture. It is so full of protein, and such an easy (ahem, once you learn the rules) and convenient food to make, that it is only fair that you enjoy it at its best, instead of suffering through it because it is ‘good for you’. If you don’t already know, soaking your grains for 12-24 hours with a splash of an acidic (I use raw apple cider vinegar) is a good habit to get into. It releases the phytic acid (an anti-nutrient found in grains, legumes, nuts and seeds, that binds to and can prevent us from absorbing the nutrients) and activates the phytase (an enzyme that helps them to digest). From a nutrition standpoint, this is pretty awesome. It takes a little bit more effort and planning ahead, but this can also work in your favor. Like when you feel the like late-in-the-day fatigue and dirty food thoughts that make ordering pizza for dinner seem like a good idea, but then $10 of quinoa soaking on your kitchen counter keeps you headed in the right direction. No one likes to waste money. From a culinary perspective, this complicates things and can cause some sad, soggy moments. Most cookbooks don’t cover how to cook grains that have been soaked, because (subtle eye roll) you don’t have to soak grains, just legumes. So now that we know that the cool kids DO actually soak their grains, what is the answer? Rely on somebody who has both over and undercooked her pre-soaked grains until things started reliably working out, to offer you some tips. Being more of an ‘eyeball it’ style of chef, (mostly because numbers and recipes turn into gummy worms in my brain) that is how I will teach you. No measured amounts, just pictures and cues. This also means that you won’t need to track down a recipe every time you want to make quinoa. I have also included a simple recipe to used your perfectly cooked (and digestible!) quinoa in if you wish, although, a pinch of sea(weed) salt and a splash of that really good extra virgin olive oil that you have been hording will do a much better job of getting the two of you acquainted. 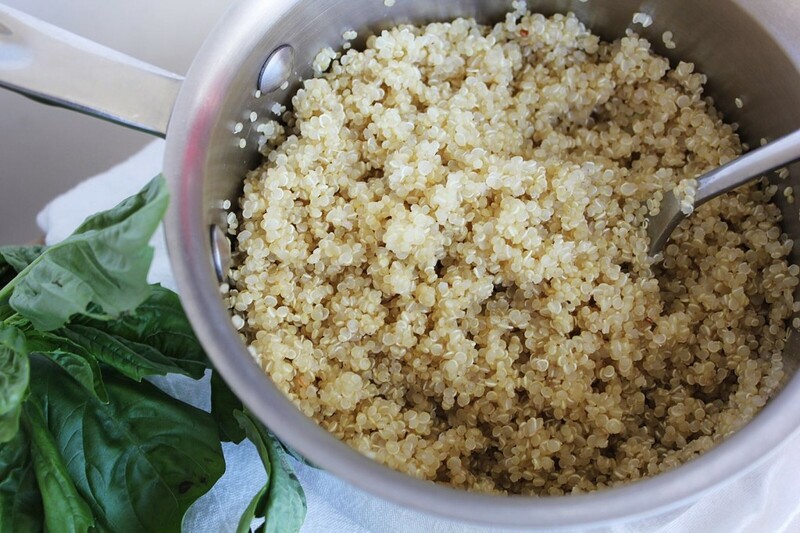 Soak your quinoa in at least twice as much water, and a glug of raw apple cider vinegar for 8-10 hours. Drain it and rinse it well with fresh water. 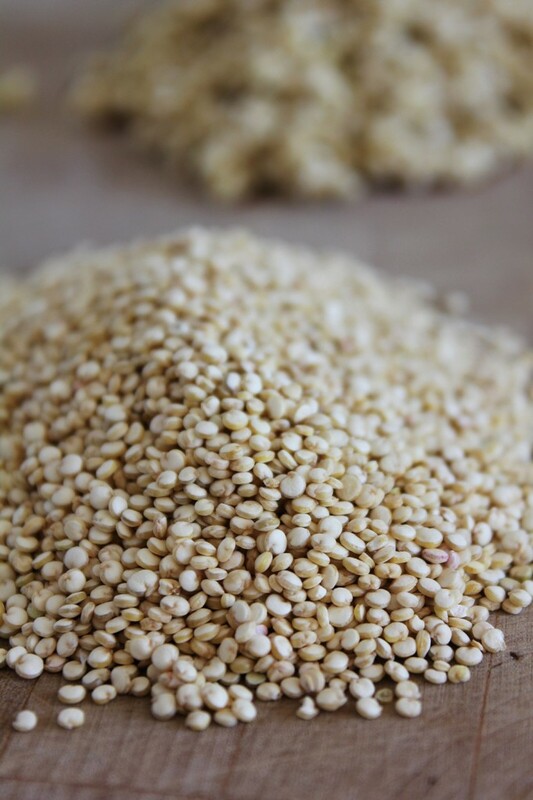 Transfer the quinoa to a pot and add enough water to moisten the grains and just barely cover. Turn the burner to high and as soon as you see some bubbles burp through, put the lid on top and turn the heat off (but leave the pot on the burner) and let sit for 5-10 minutes. Halve the tomatoes and lay them out on a parchment-line baking sheet with the whole, unpeeled cloves of garlic and sprigs of rosemary. Bake @ 325*F for 25-35 minutes, until they get a bit wrinkly. 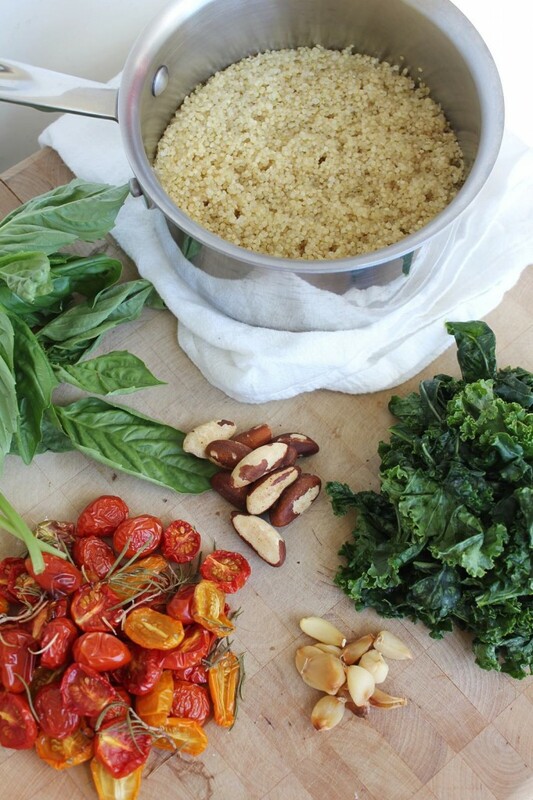 Once the quinoa is cooked, dump it into a bowl and add the olive oil and sea(weed) salt, and fluff it up. Add the rest of the ingredients. Enjoy warm, room temp or cold (quinoa doesn't stiffen up in the fridge the way that rice does, so it works well cold. Just in case you were concerned about that). Good question! The saponins make the quinoa bitter. If you make it the way I have described, you’ll notice it isn’t bitter at all. The key is to rinse it very well once soaked, until the water runs clear. I feel like soaking it, opens it up a bit allowing for a better rinse. Soaking also makes it easier to digest, which in my experience with clients/friends and family, is very helpful when it comes to quinoa. These are just my thoughts and observations. 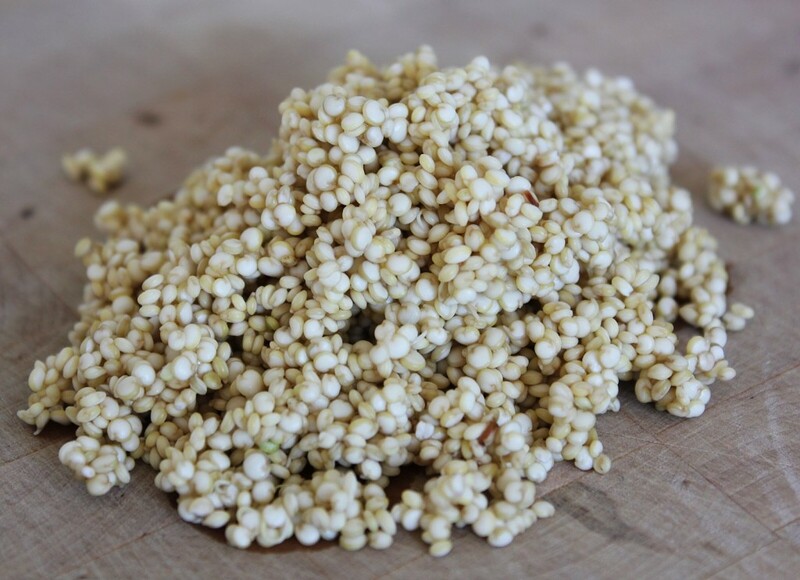 Dr. Weil says NOT to soak quinoa as saponins can leach into the seeds! Instead, jjust rinse thoroughly before cooking. What is your response to that? looks good to me. Quinoa’s are soaking as I speak…cant wait for the morning…. It turned out well. Thank you. If there is water remaining then you just pour it out and continue simmering for a little till the water is evaporated. This recipe is similar to my oat groats recipe. I soak the groats for 24 hours and in the evening I cook it only for one minute, put the lid on and leave it on the stove till the morning. It is perfect and soft. The ratio is 1 cup (measured before soaking) groats to 3 cups of water. Hi! Rolled oats are a little different b/c they are processed (rolled & sometimes lightly steamed) which makes them soften when water is added and easier to digest without being cooked. Quinoa is still raw once soaked and would still be tough to digest (and might taste bitter). You could soak and then sprout it if u wanted to leave it raw, which would make it easier to digest, but I wouldn’t just eat it soaked/raw. That being said, I’m sure some people do. Let me know if u do some experimenting! HI, Just wondering so you cant just soak quinoa like oats and they absorb the liquid, you have to cook the quinoa for it to be nicely eatable. You’re so welcome Leanne! I’m glad it worked for you. I feel the same way, I don’t cook it any other way now. Good point Laurie! I do, I’ll have to try it on a gas burner (let me know if you do too). I tried it this morning and it worked. 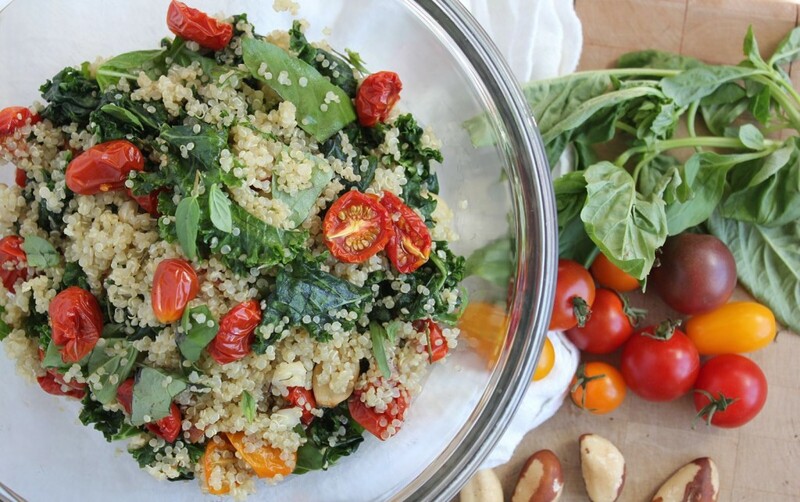 Finally a way to cook quinoa after it’s been soaked. Hi Kris! You could sprout it for a couple of days after soaking it (put in a jar, rinse, drain well, repeat twice a day for 2-3 days, keep covered with cheese cloth). It would stay raw but be easier to digest than if it was only soaked. Hi Jill, I’m sorry to hear it didn’t work for you on the first try. Next time try soaking the quinoa for 8-10 hours instead (that’s all it really needs, I need to change that) and then when you add the water, it barely covers it, as in some pieces may still poke out the top of the water. It sounds like a case of too much water, so these tips will help. You didn’t mention a lid, this is really important to help it steam and absorb the water too. Let me know how it goes next time! Unfortunately this method didn’t work for me. 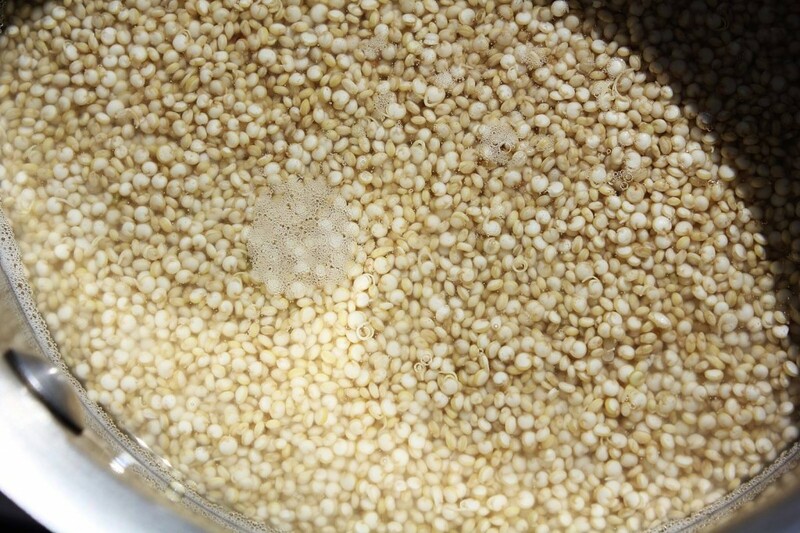 I followed the instructions of soaking quinoa (approx 20 hours), rinsing well, then just covering with water over high heat and when bubbles began to appearl, turning heat off and leaving on stove for 10 minutes. Unfortunately there was still water in the pot. I turned the heat back on and after getting the pot hot, turned heat off and left it again for 10 minutes. Had to do this again before the quinoa was dry and reasonably fluffy.